Interested in learning more about how for-profit companies, including American Prairie Reserve's own Wild Sky and Utah's High West Distillery, Support long-term conservation goals -- all while enjoying amazing food and drink? Wild Sky Inaugural Appreciation Dinner! Our Wild Sky staff had a beautiful weekend on the Reserve last month. We kicked off the weekend with a Wild Sky Appreciation Dinner. 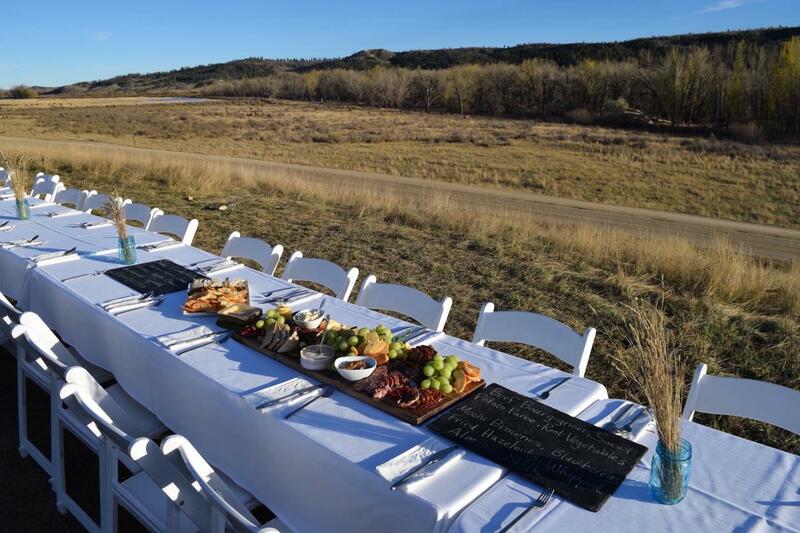 We gathered individuals from all aspects of the project and sat down for dinner at one very long table over looking the elk rut at Slippery Ann where Chef Daniel served up some very delicious Wild Sky beef! Read more about Wild Sky Inaugural Appreciation Dinner! Do you need a recipe that you know will impress guests? Paul Matteucci provided us with this impressive recipe. We felt we had to try it out ourselves and made this at our work retreat a few weeks ago and we are still talking about it! We used Wild Sky flank steak in this recipe. Enjoy. 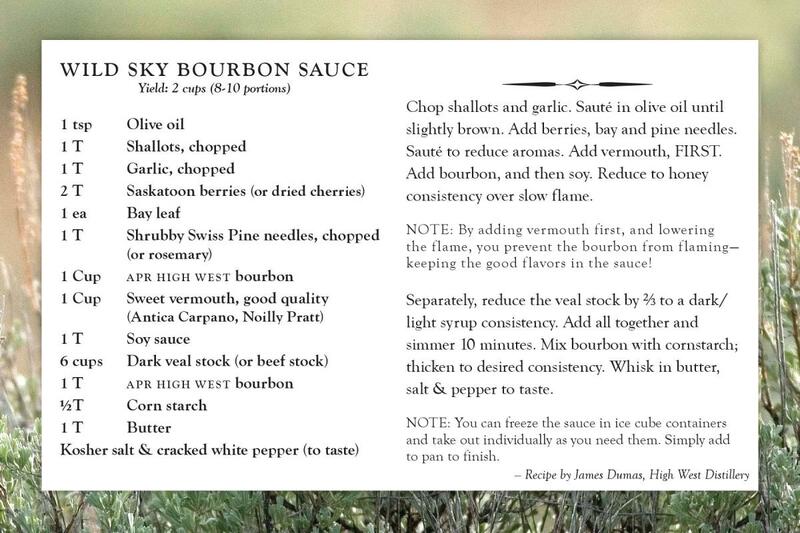 Here is great recipe to cook up this weekend for Fathers, Day using some beautiful Wild Sky whole tenderloin. Pick up Wild Sky at your local Rosauers Supermarket and follow Gary's instructions step-by-step to get a delicious and impressive meal. "Perhaps, like me, you were among the tens of millions who visited one of our national parks this year. If you did, you most likely shared my appreciation for the foresight of previous generations to set aside treasures like Yellowstone. This legacy of conservation has long served as a point of pride for our country, and rightly so. Cary has served these Wild Sky beef burgers for many events at the American Prairie Reserve and we keep begging him to come back and cook more. Here he is cooking with his side-kick up at a community event on the Reserve. 11/14/2016 | Wild Sky Inaugural Appreciation Dinner!